Here are a few of the most interesting Salesforce statistics I was able to dig up. As always, be sure to check back in the future as I will be updating this post as new and updated stats become available. I talk here a lot about disruption and how startups grow significantly by creating products that use digital to enhance the traditional operations of an industry. 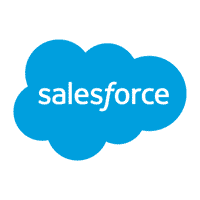 One disruptor that I have been meaning to do a post on for quite a while is Salesforce. What Salesforce has done to the world of B2B sales and customer management is simply amazing. Over the past decade, they have taken a simple customer relationship management tool and built it into a robust sales/marketing/biz dev platform that is a must-have for any B2B company looking to grow. How many customers does Salesforce have? How many employees does Salesforce have? I try to go through each and every stat regularly and update as much as possible, but we all know that some Salesforce stats are easier to track down than others. As always, every stat is linked to its original source and has the source date listed. To get your copy of this Salesforce statistic report, click on the button below to purchase it.